As some older readers may remember, the phrase “And now for something completely different” was a recurring introduction to the next form of surreal madness on “Monty Python’s Flying Circus” (although its origins precede Monty Python). A new clinical trial related to quality of life among prostate cancer patients may not quite reach the levels of surreality achieved on Monty Python, but one certainly couldn’t dispute the fact the the concept really is “completely different”! A Danish research group (Bjerre et al.) have recently published plans for a randomized, controlled, parallel group, multi-center superiority trial (The FC Prostate Community Trial) in which half the patients will be recruited to play organized soccer twice a week and the other half will be a control group. 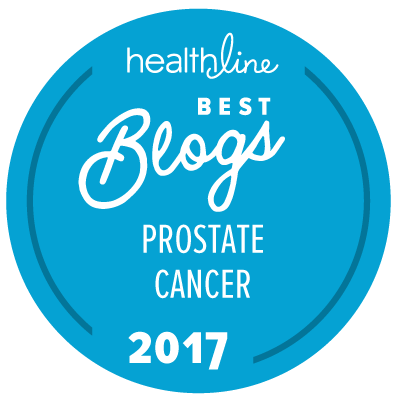 We know that regular exercise can often he highly beneficial for men with prostate cancer and that it has been associated with both disease specific quality of life and a reduction in treatment-related toxicity. Some studies with long-term follow-up have even suggested that regular physical activity is associated with improved survival in prostate cancer patients.The problem for many men, however, can be the motivation to exercise “for its own sake” so to speak. By comparison, participation in some form of organized sport is a more social activity and therefore may be more motivating and easier for men (even older men) to enjoy or a regular basis. So … Bjerre et al. set out to study whether community-based football could be beneficial for men diagnosed with prostate cancer with the same degree of rigor as one might apply to the clinical trial of a new drug. Two hundred prostate cancer patients are to be recruited and randomized (1:1) to either community-based football for 1 hour, twice weekly or to a control group. The intervention period last for 6 months. The primary outcome will be quality of life assessed after 12 weeks based on the change from baseline in the Functional Assessment of Cancer Therapy-Prostate (FACT-P) questionnaire. Secondary outcomes are change from baseline to 6 months in quality of life, lean body mass, fat mass, whole body and regional bone markers, as well as physical activity and functional capacity at 12 weeks and 6 months. Safety outcome variables will be falls resulting in seeking medical assessment and fractures during the 6-month period. Soccer is an extremely popular sport in Europe (Denmark included). Soccer facilities are relatively easily accessible and so it is not that difficult to coordinate soccer games as supervised community-based team activities for promoting long-term physical activity in men diagnosed with prostate cancer. What is different is that the average ages of the players will be a lot higher than those one might normally see in amateur soccer games in parks on any average evening or weekend across Europe. This idea may not actually be as crazy as one might initially think. An hour playing soccer can provide a high level of exercise, and if one wants to be able to play soccer reasonably well one needs to get oneself (and keep oneself) reasonably fit to do it … even if one isn’t going to pretend to be playing at the level of Réal Madrid or Manchester United! Furthermore, this is going to place men in close company with others who have prostate cancer, which wil help them to “share war stories” and the differing ways that one can manage some of the complications and problems of living with prostate cancer (as opposed to avoiding the realities).